Introduction Malaysia?s capital and home to the iconic Petronas Towers, Kuala Lumpur?s culture is a confluence of colonial elements and Malayan charm with heavy influences from across the continent. The city is also where most of Malaysia?s work happens, making it a hub of business and finance. In this fertile environment for enterprise innovations, KnowledgeHut presents the Scaled Agile Framework training in Kuala Lumpur. About the Course The Scaled Agile Framework (SAFe 4.5) is essential when multi team, large scale projects and enterprises are working towards a transformation into an Agile framework. The Scaled Agile Framework certification in Kuala Lumpur by KnowledgeHut is an intensive course based on this methodology which helps in getting participants own the role of a Certified SAFe 4.5 Agilist, a designation responsible for helping team members embrace a Lean-Agile framework. The Scaled Agile Framework training in Kuala Lumpur is a dynamic and intensive e-learning program that empowers participants with the know-how to work towards the certification for SAFe 4.5 which is awarded after you complete the exam. The Scaled Agile Framework certification in Kuala Lumpur commences with an intro to the Scaled Agile Framework and you will be imbibed with the Lean and Agile values. 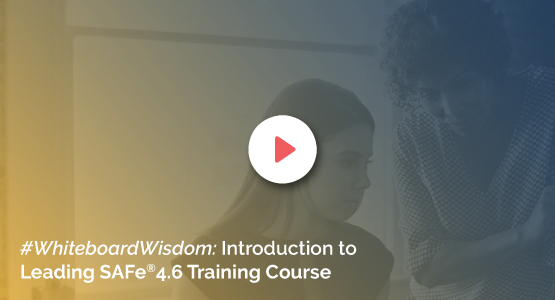 Our industry expert course instructors will teach participants about the SAFe 4.5 principles and as the online classes progress there will be important lessons on how to implement Agile Release Train and PI Planning. As the KnowledgeHut online program enters the second half, you will be part of lessons on building an Agile portfolio. Towards the end of the training, our trainers will share their knowledge about leading a Lean-Agile Enterprise. The KnowledgeHut Advantage After completing the Leading SAFe 4.5 certification training in Kuala Lumpur you will gain many benefits, including the knowledge to carry out and track Agile implementation in your enterprise. Participants of this workshop will have access to exclusive course material authored by the Scaled Academy. At the end of this training you will be well prepared for the SAFe 4.5 Agilist certification exam. KnowledgeHut delivers an interactive live classroom atmosphere with convenient learning methods. The price of the Leading SAFe 4.5 online course will include the exam fee and a one year membership with Scaled Agile is also part of the course benefits. This training is ideal for you if you are a development/QA/program manager, executive, change agent (coach) or another professional involved in a SAFe 4.5 rollout.